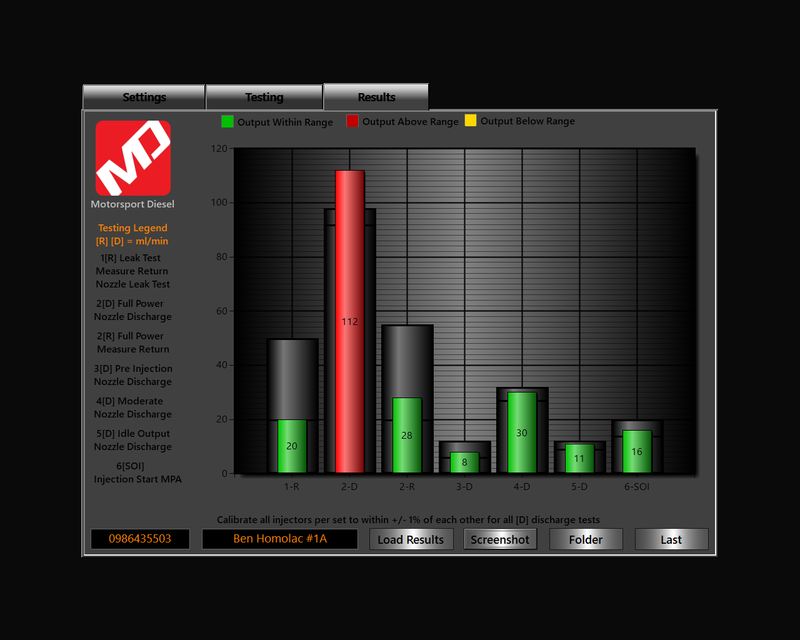 Motorsport Diesel offers complete injector testing services. We use approved testing plans to determine the current state of the injector. We start with armature lift measurement, if that is within range we will then perform a baseline test. If it fails here we do not proceed further. If flow is within range we will then perform the additional testing. We can test at up to 220 MPA / 2200 bar, using OEM testing specifications. 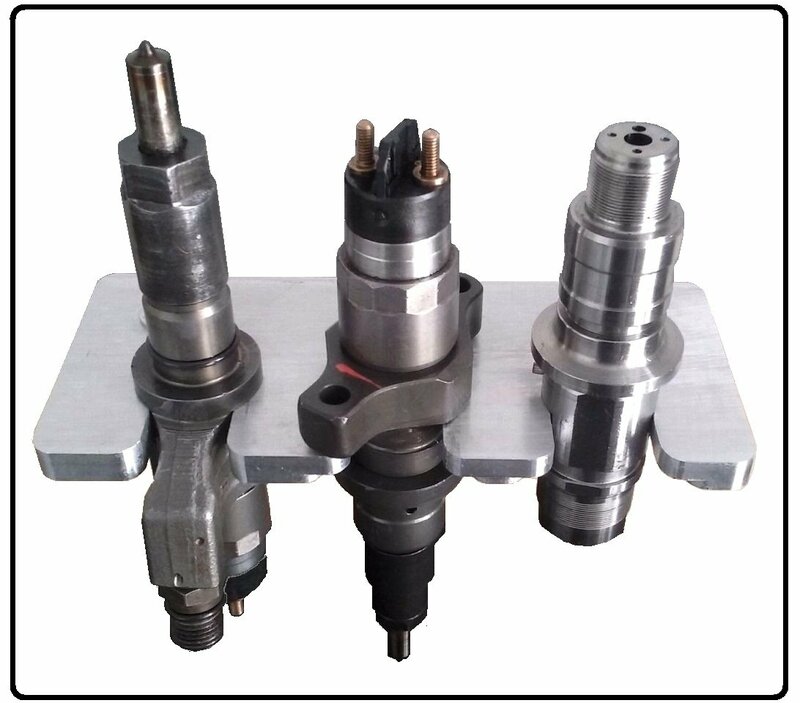 There are many times that injectors are replaced with lower quality versions, due to a balance rate deviation. The testing above will reveal this condition and could potentially save you a lot of money, by revealing this issue and having us to re-calibrate the injectors to OEM specifications. An injector is not necessarily deemed BAD by failing a balance rate test. We perform testing for local shops who repair trucks for tree service companies, and telephone service companies as well. They typically see Duramax powered trucks come in with white smoke at idle, or with balance rate issues. We have been able to at times re-calibrate complete injector sets, and return them to as new condition. Companies selling injectors, do not want you to know this. Let me provide a bit of a disclaimer here, in no case can an injector with excessive wear in the ball seat or the control valve and rod be repaired through calibration. Only injectors that pass the preliminary baseline testing can be re-calibrated. Baseline testing pricing is per injector, and does not include any shipping. We provide a comprehensive flow data sheet with every injector we test, this can be emailed to you for convenience.